You think of your pet as a member of the family and perhaps your best friend. But the law considers animals property. While your pet does not have inherent rights, as a pet owner you do! The Law Offices of Robert H. Fennessy provides experienced counsel and representation to animal owners in a wide range of legal issues under the collective terms of "pet law" or "animal law," to address these often complex and emotional legal issues. Attorney Robert H. Fennessy, Jr.
Veterinary Malpractice — Did your pet die or suffer injury due to professional negligence? Cruelty to Pet, or Wrongful Death — You may have claims if your pet was killed by someone else's animal or harmed by a person's intentional acts. Long Term Pet Protection— Your estate plan can provide for custody and care of your pet if you die first. Disputes of Pet Custody — Who gets the dog or cat in a divorce or breakup, or in a jointly owned pet or livestock? City, Town, and State Hearings — What are your rights in keeping of pets, exotic animals or livestock in city or town limits? Stolen, Lost, or Seized Pets — There may be legal issues in recovering your missing animal even if you locate it. Dog Bites and Animal Attacks — Representation is needed if you were bitten or if your animal injured someone else. 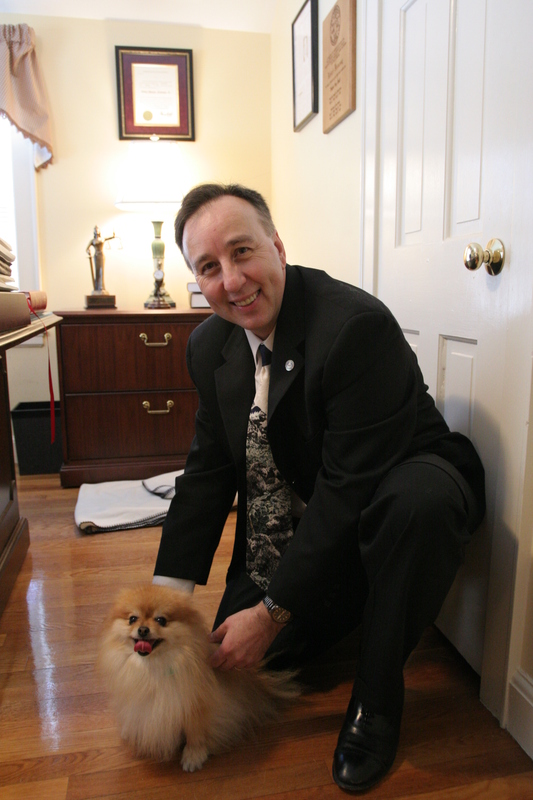 As a former Captain of the MSPCA Law Enforcement, and animal cruelty prosecutor, Attorney Robert Fennessy has represented many pet owners through negotiations and civil litigation for more than fifteen years. In 2007, Attorney Fennessy was awarded the Massachusetts "Up and Coming Lawyer of the Year" Award from Massachusetts Lawyers Weekly for his cutting edge work in Animal Law. In 2010, he was named as a "Rising Star" in Super Lawyers magazine. He teaches Animal Law and Rights as an Adjunct Professor of Law at UMASS Law School in Dartmouth, and formerly was an Adjunct Professor at the Southern New England School of Law.